I have found a way to easily stretch my rug backing – and it doesn’t hurt! I thought you might be interested in a product that I have found really useful for gripping and stretching my Rug Backing onto my frame. 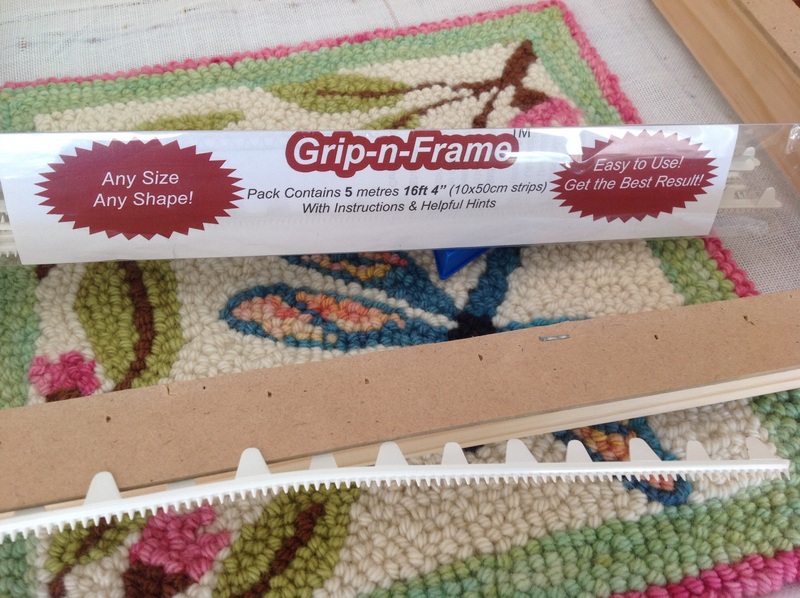 It doesn’t hurt my hands like Carpet Tack, and it isn’t as expensive as Gripper brush strips. I make my own frames out of pine timber. The pictured frame is made from 42mm* 19mm timber., with lapped and screwed corners. Not pretty but it works! 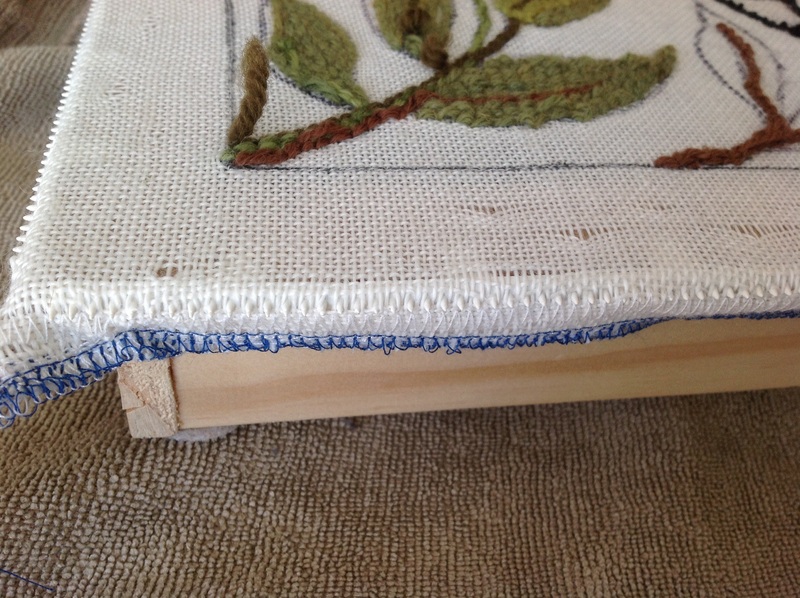 I mostly do rug punch work with wool yarn – using Amy Oxford Punch Needles – so I try to give my frames some depth to protect the punch needle. 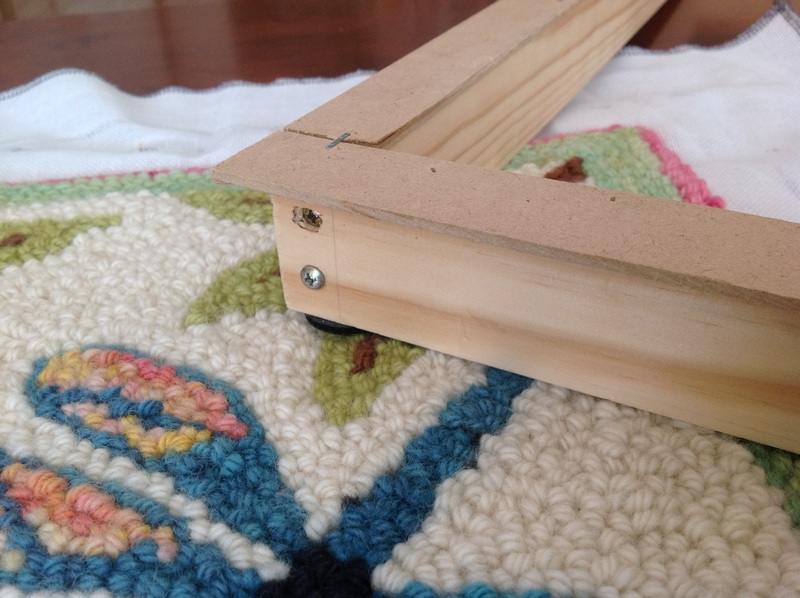 I have found this tensioning system works equally well for traditional rug hooking work. The important element of the frame is the flange strip on the top, which extends about 1 cm out from the frame, this holds the Grip-n-Frame strip. I have made the pictured flange out of strips of 3mm MDF sheet, but I think for strength next time I will use 3mm aluminum flat bar, or 3mm plywood. The edge of the MDF tends to get a bit ragged with use. 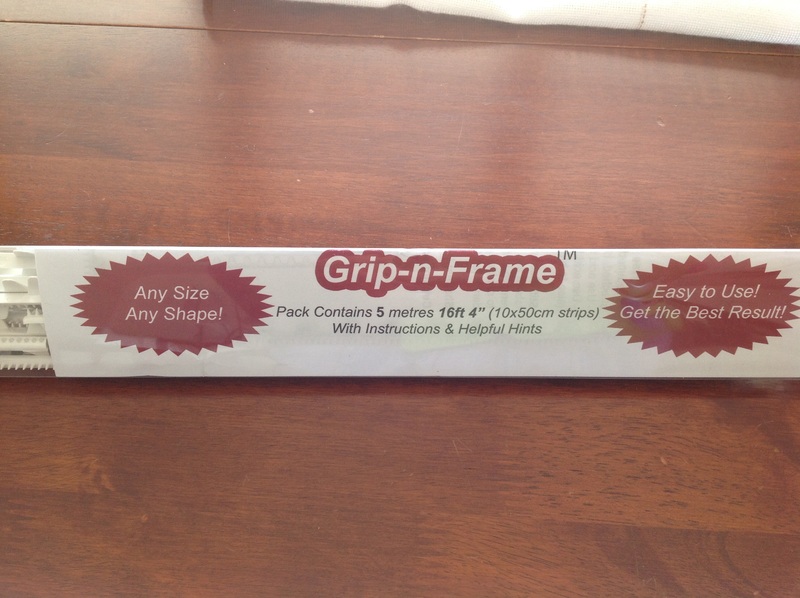 Grip-n-Frame comes in 50cm strips, and can be easily cut to size. Went to a wonderful workshop last weekend with Bec Anderson in Tambourine, where I made the rug in the background. I really recommend Bec’s workshops.